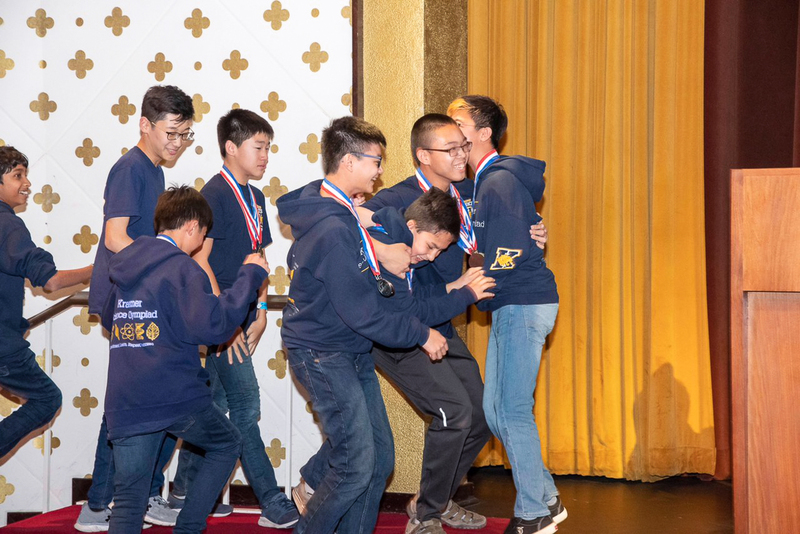 Kraemer Middle School's Science Olympiad Championship Team with Coach Evola on April 6, 2019. 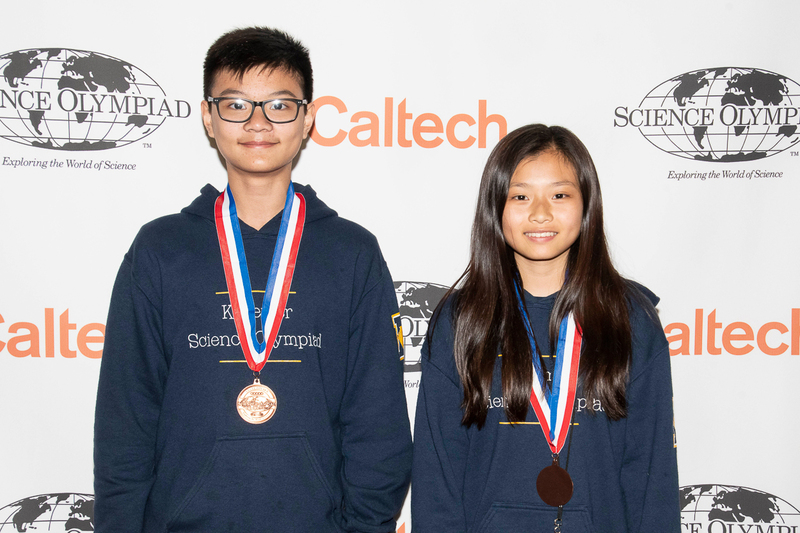 The Placentia-Yorba Linda Unified School District (PYLUSD) is proud to announce that Kraemer Middle School in Placentia has earned the prestigious title of Southern California Science Olympiad Champions. 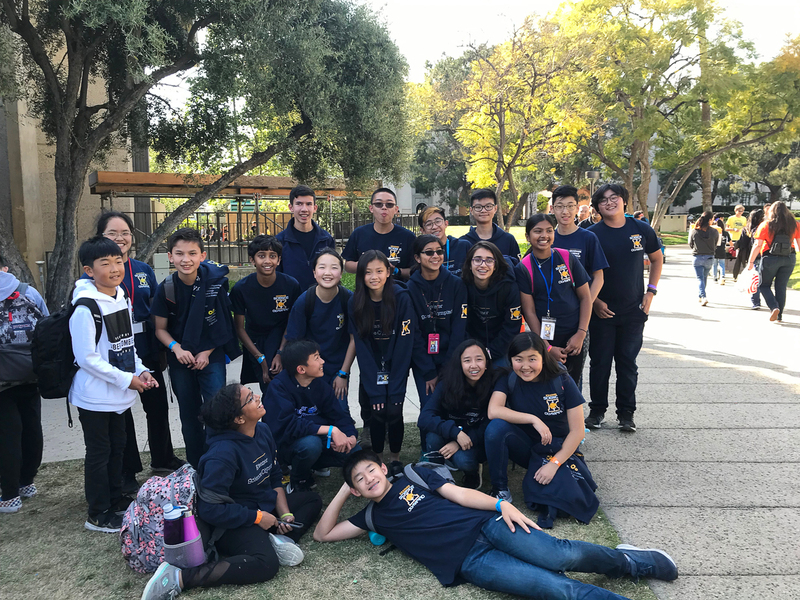 Under the direction of head coach, Shaun Evola, Kraemer’s team earned the top score in Division B at the State Science Olympiad Championship Tournament on April 6 at the California Institute of Technology in Pasadena. 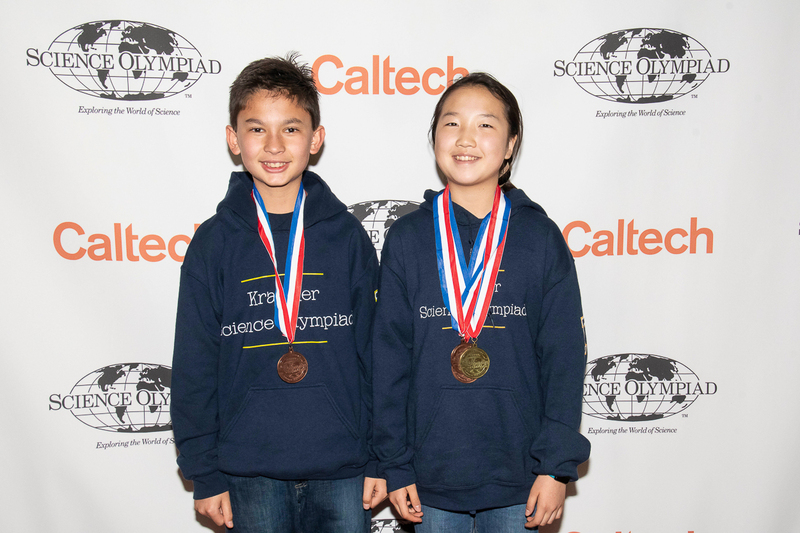 “I am extremely proud of the students on our Science Olympiad team. 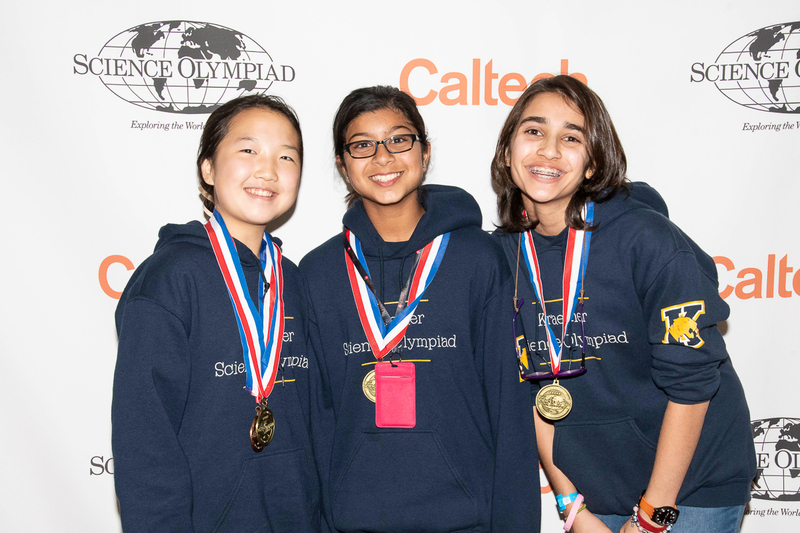 Their level of perseverance and diligence in working towards this is unparalleled,” Principal Keith Carmona shared. 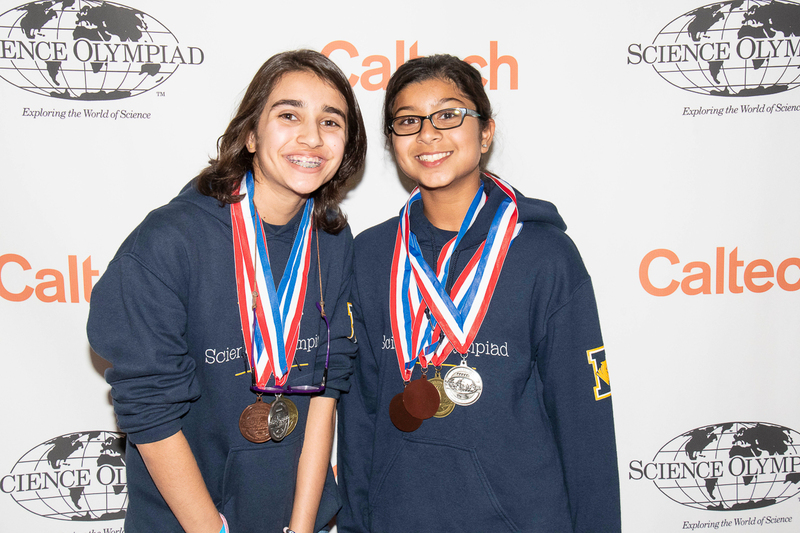 Science Olympiad is a scholastic competition where students compete in 23 events pertaining to various scientific disciplines including social science, earth and space science, physical science and chemistry, technology and engineering, and more. 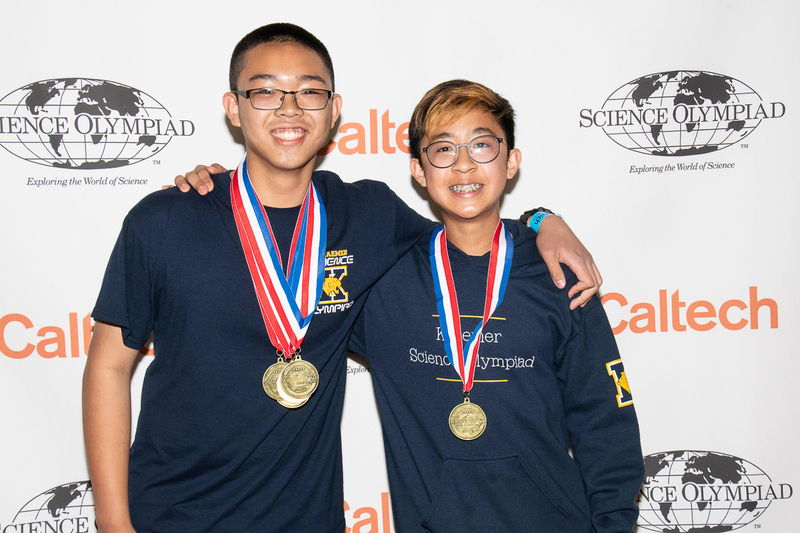 Each year, over 7,500 middle and high school teams from around the country compete in multiple levels of competition including regionals, states, and nationals. 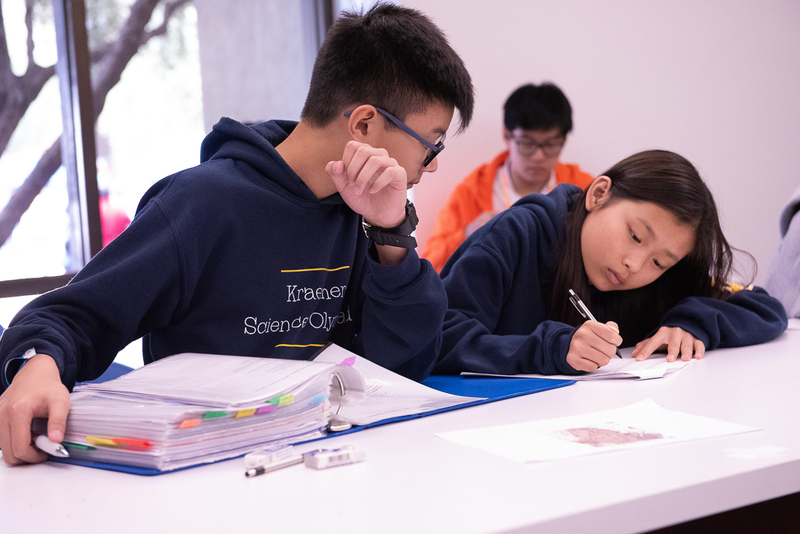 This school year, Kraemer’s Science Olympiad team is made up of twenty students in grades seven and eight. 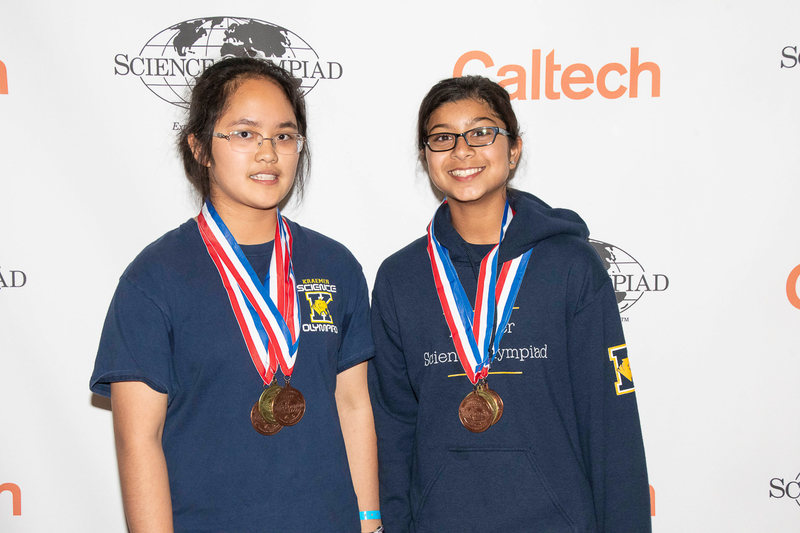 They have remained busy throughout the season by competing in various invitational tournaments around the country. 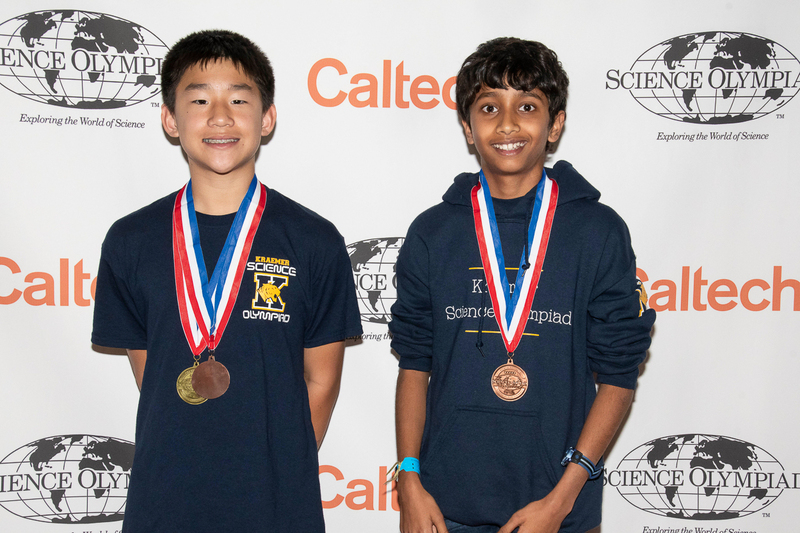 Notably, Kraemer even hosted the nation’s largest middle school invitational with over 60 teams competing on their campus in January. “Mr. 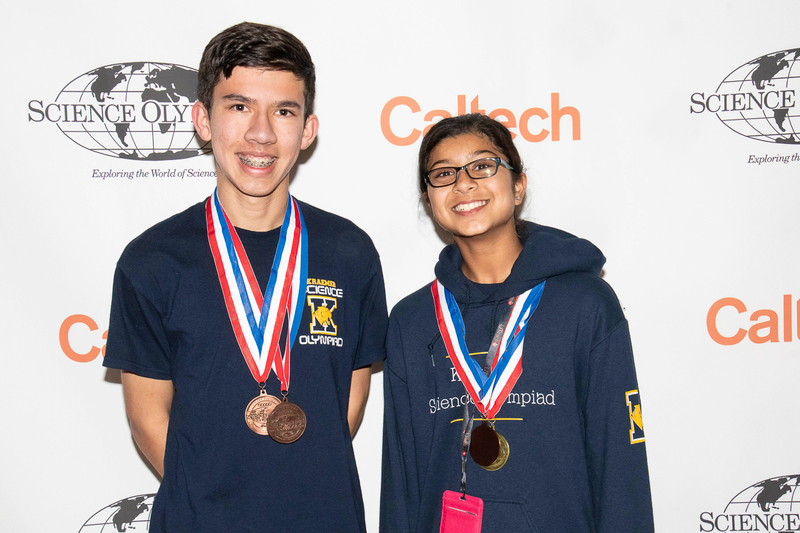 Evola has been a source of motivation, inspiration, and strong leadership, while the parent support all around this team has also been instrumental in the team’s success,” Carmona said. 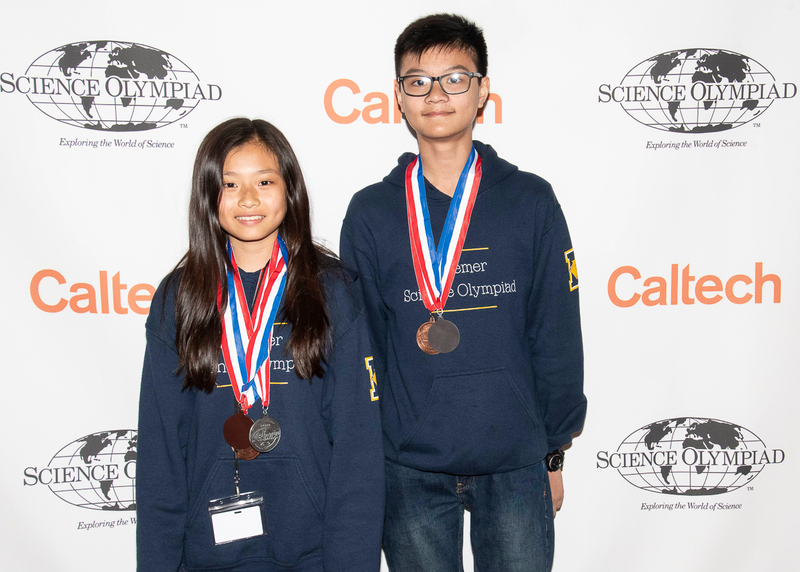 Kraemer will move forward to compete in the Science Olympiad National Tournament at Cornell University in New York from May 31 to June 1, 2019. 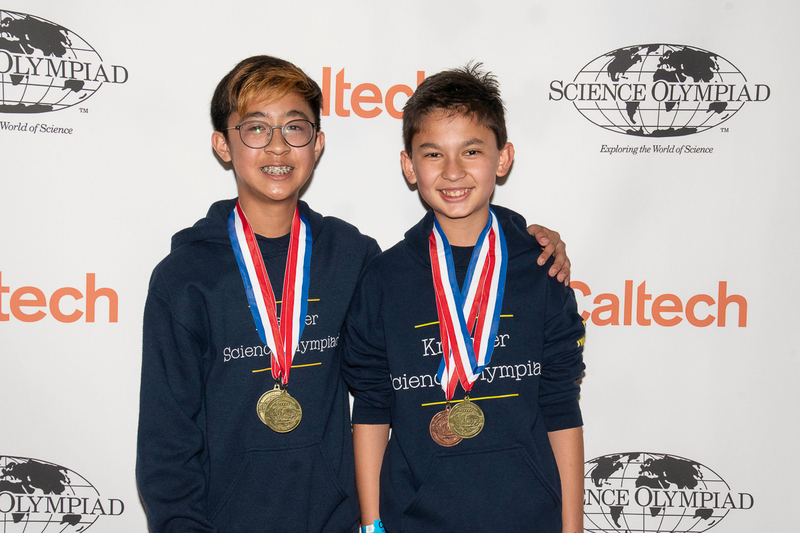 Be the first to comment on "Kraemer Middle School crowned Southern California Science Olympiad Champions"